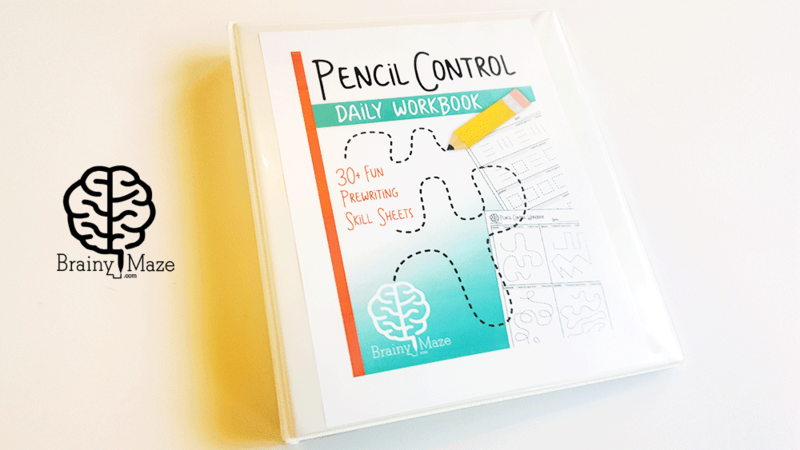 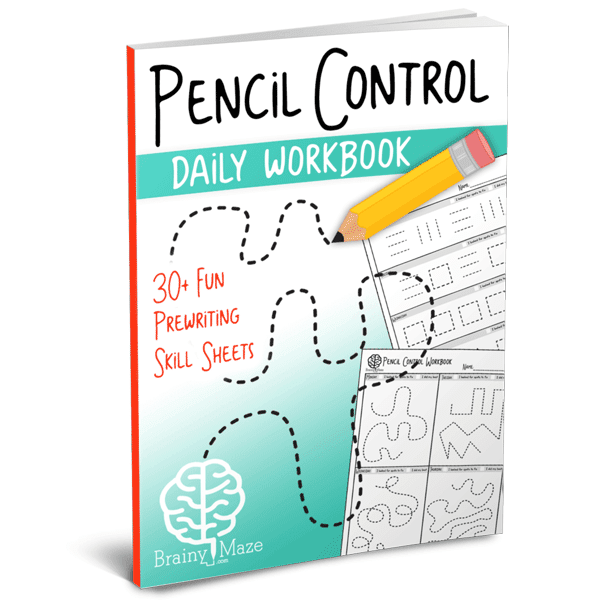 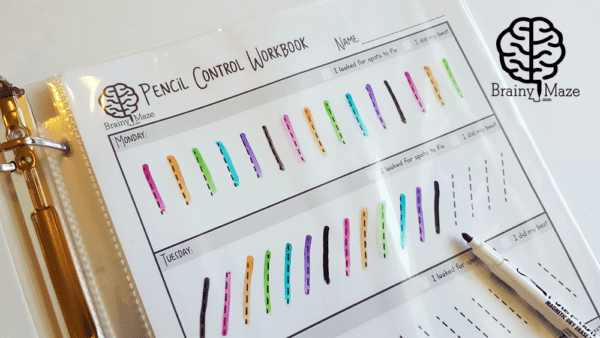 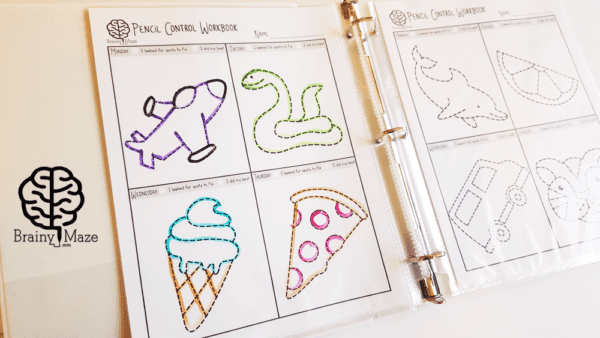 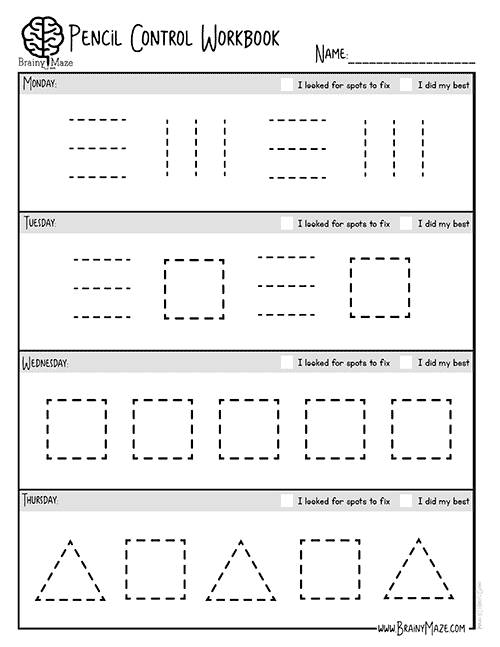 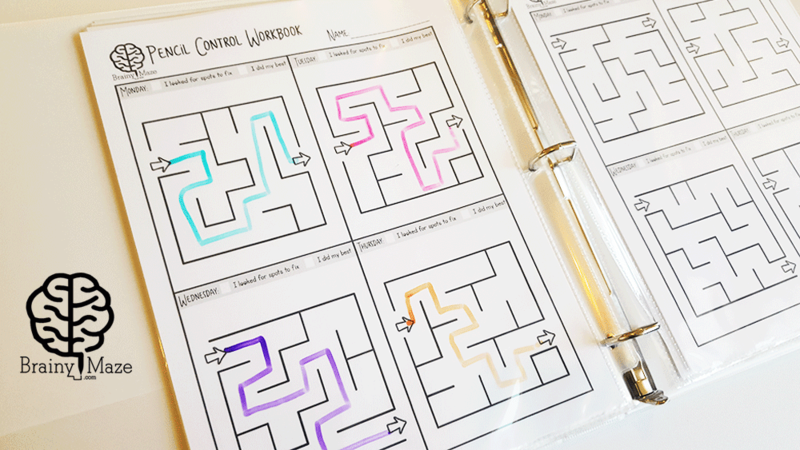 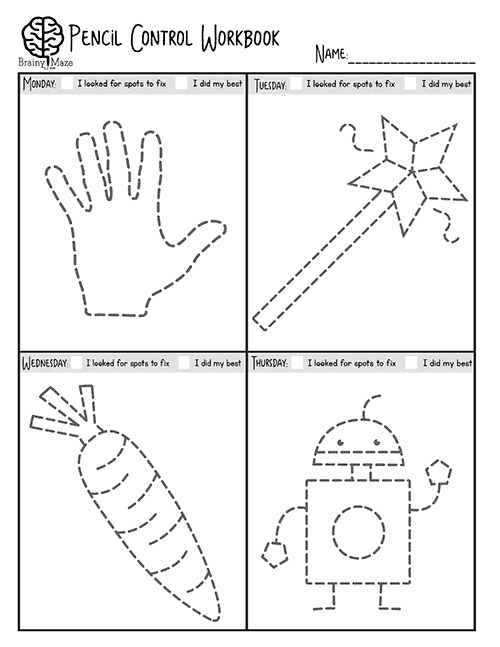 Tots and Preschoolers will love this hands-on set of 30 Pencil Control Skill Sheets. 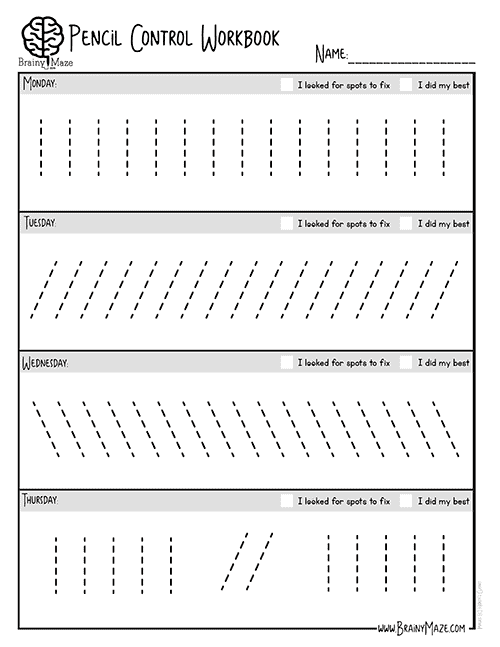 Each sheet is divided into four daily assignments for students to complete. 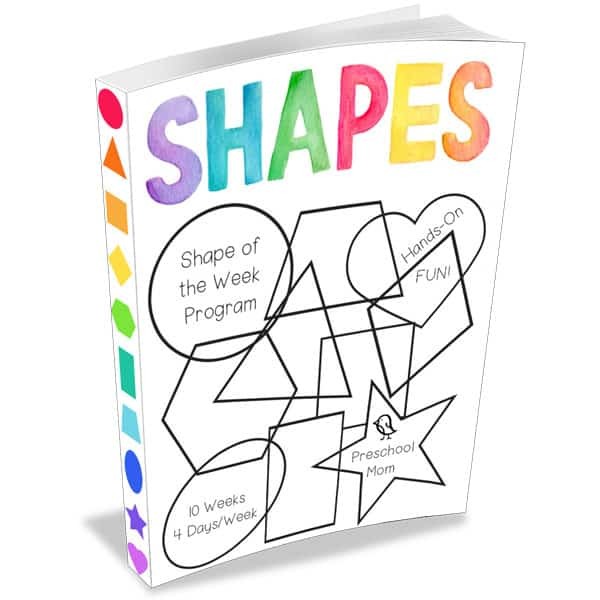 This set starts with single strokes and progresses to picture tracing and beginning mazes. 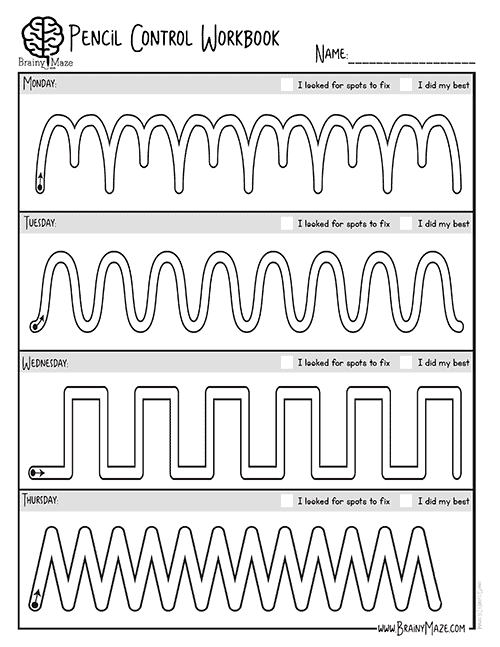 Please note this is a PDF downloadable product only. 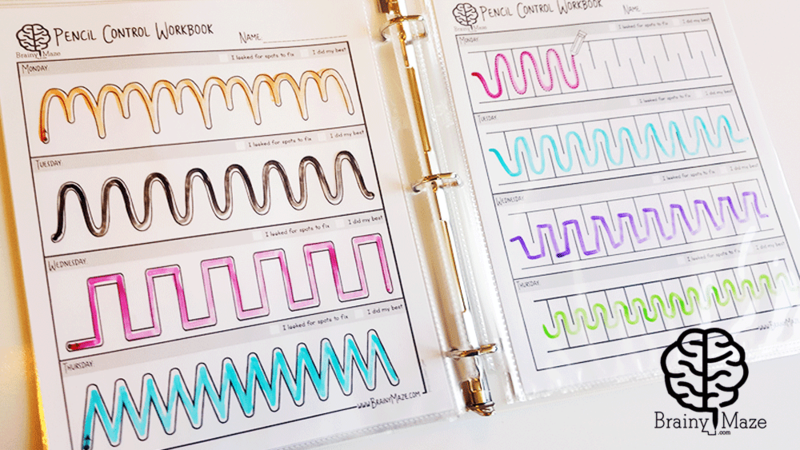 Binder and pens are shown for suggested use only, nothing will me mailed. 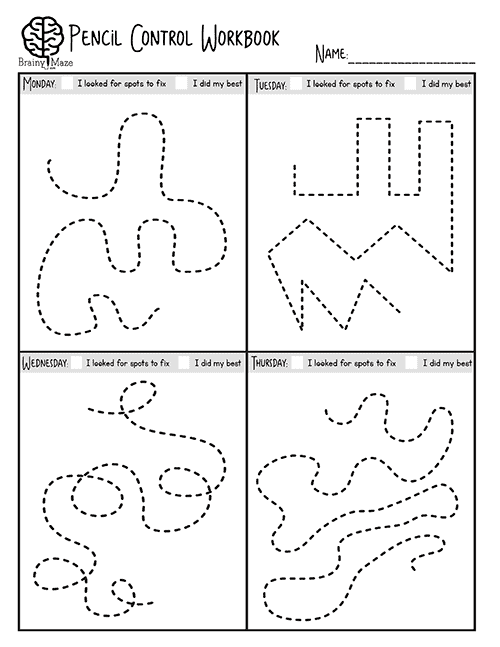 Follow up with our Maze Writer Handwriting Program for best results. 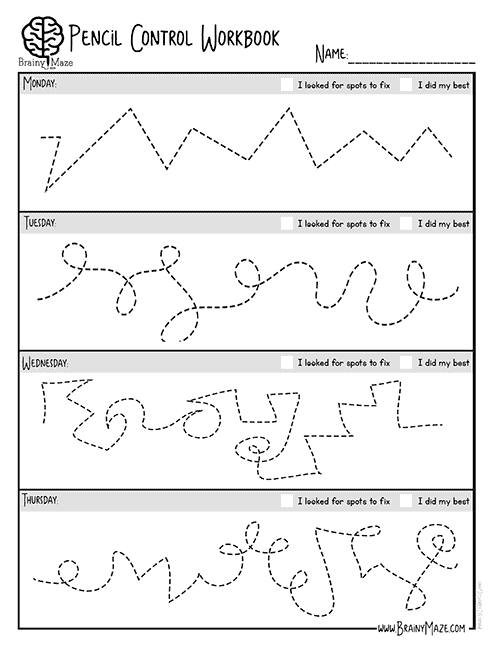 Fine motor skills are an integral part of learning to write. 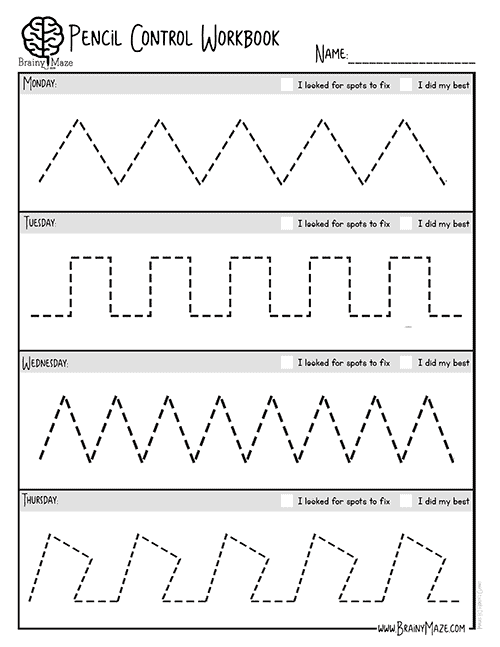 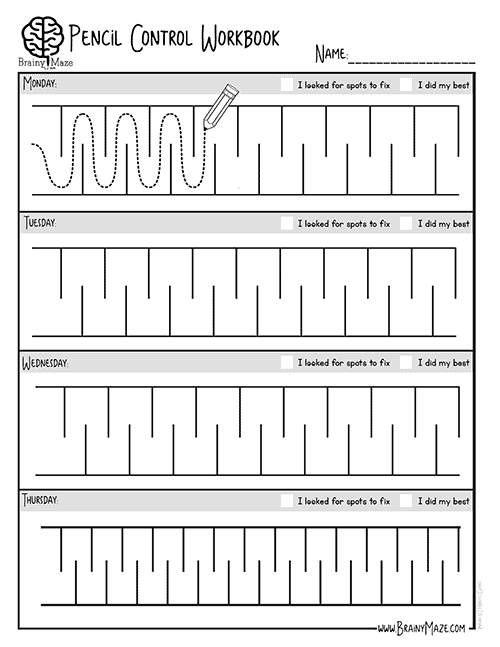 Students can build strong finger muscles, small motor control and patience with our Pencil Control Daily Workbook. 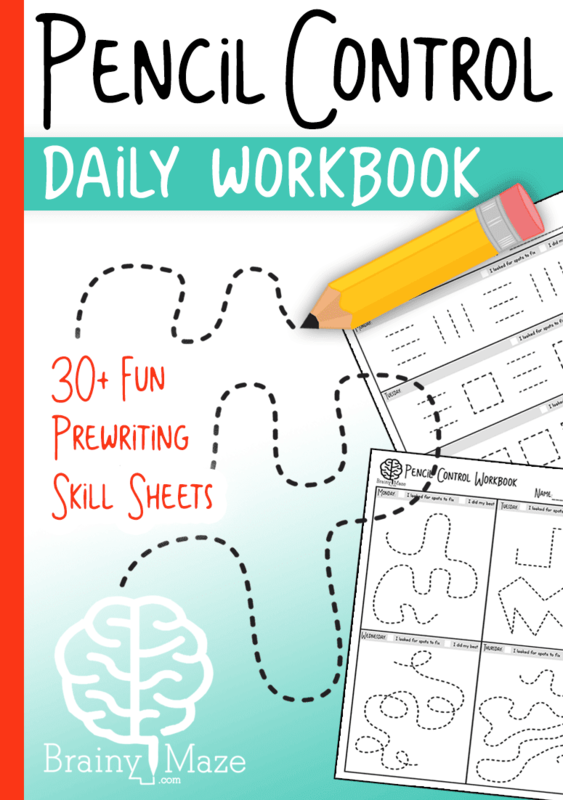 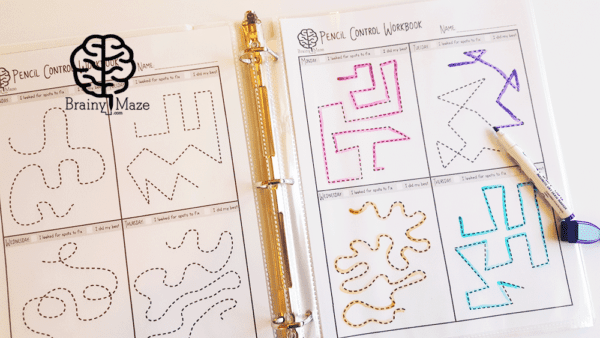 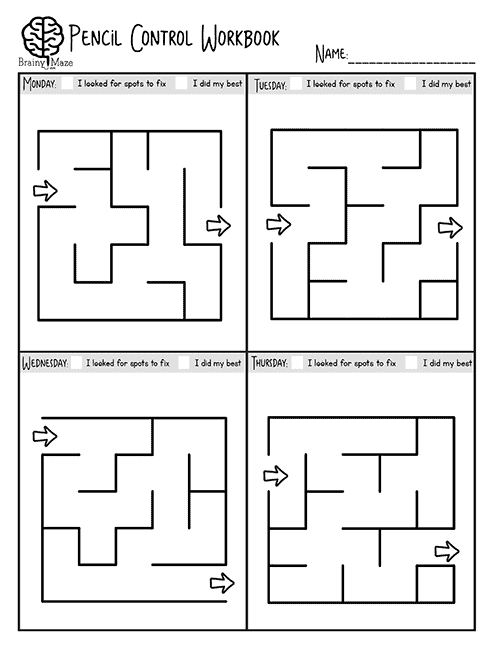 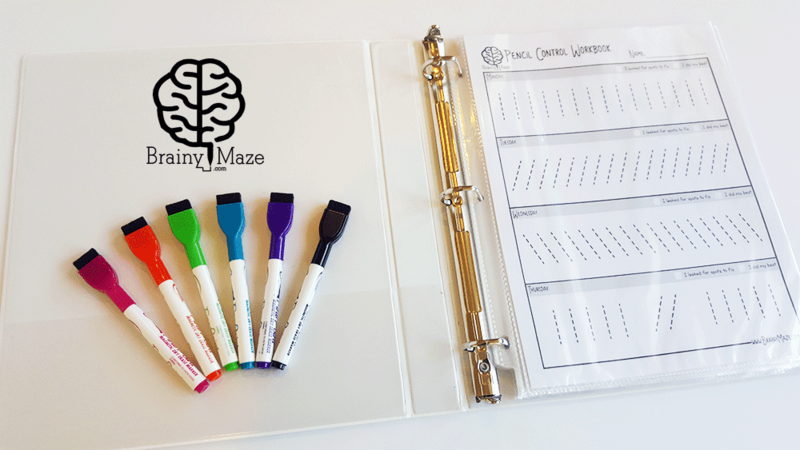 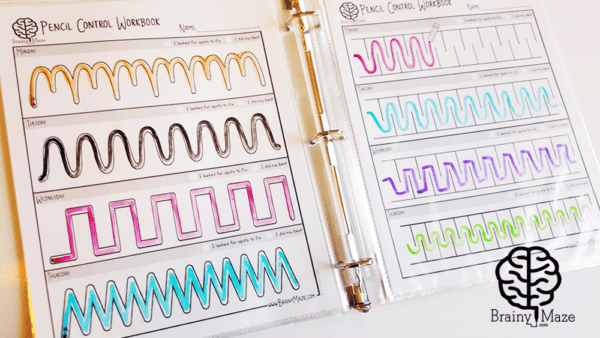 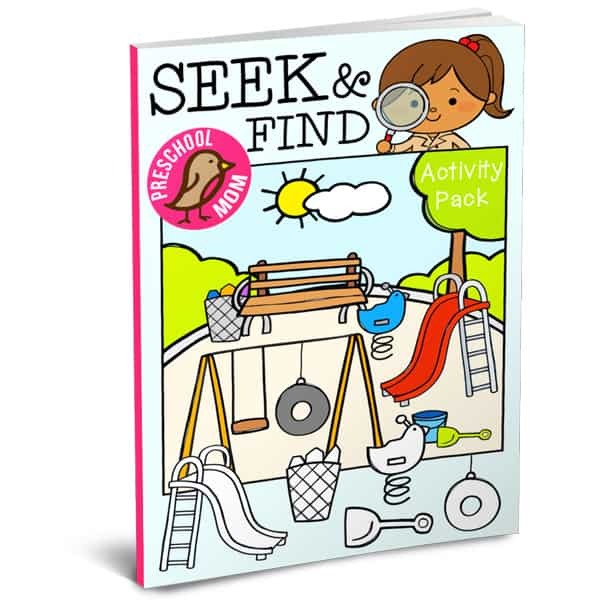 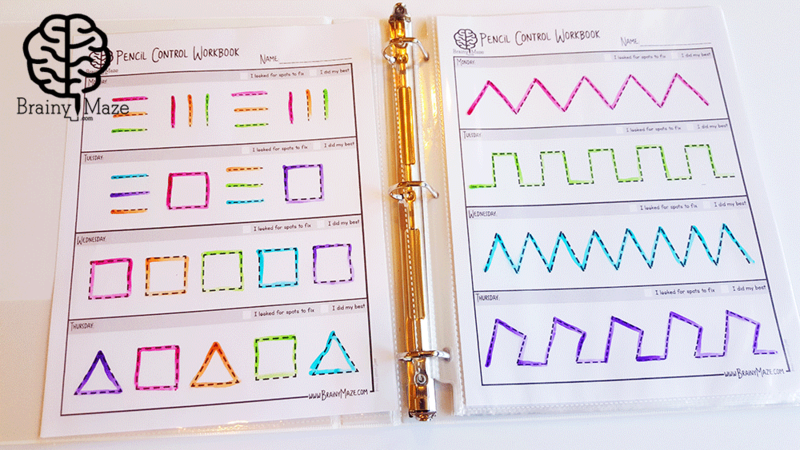 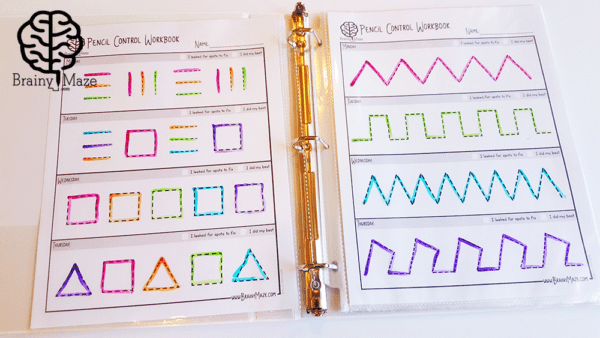 Featuring 30 skill sheets (each divided into four daily exercises) this pack will progress from simple strokes to picture tracing and beginning mazes. 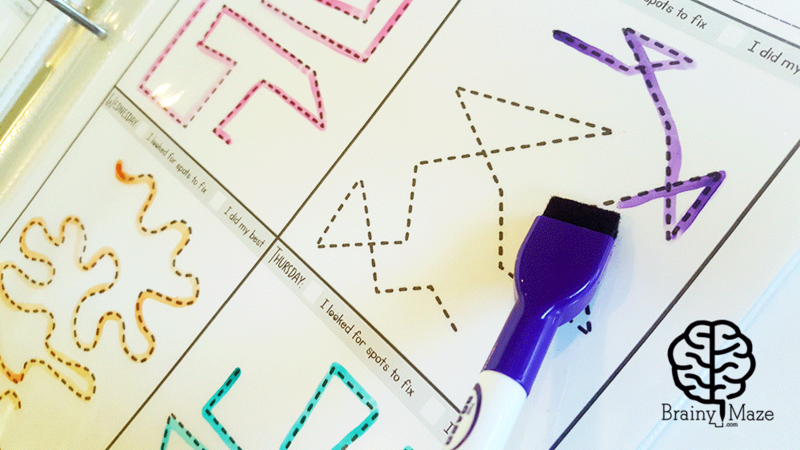 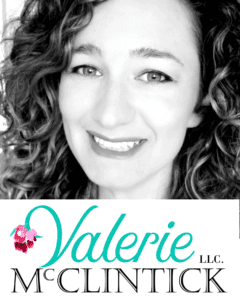 Tips: Place sheets into page protectors and allow students to use low-odor, fine tip dry erase markers.